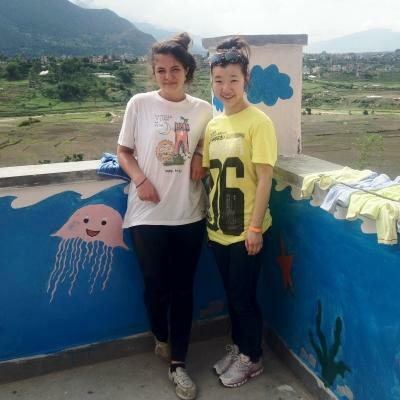 Join us in Nepal as a teenage volunteer and help the local community by working with disadvantaged children. Use your energy and enthusiasm to help kids learn new skills, like counting to 100 and writing the alphabet. This is a great way for you to get childcare experience while exploring a different country. Your work with kids will involve a lot of learning through play and doing fun games and activities. Play is one of the main ways children learn, and lets you be part of improving their development. It also lets you be part of our long-term work with children in Nepal. You’ll also get involved with community work. Add a colourful coat of paint to a classroom and create murals to inspire students. You can also assist with tasks like building a playground. 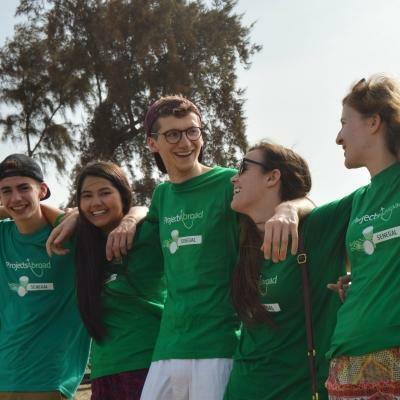 You’ll live and work with other teenagers in Kathmandu, Nepal’s capital city. 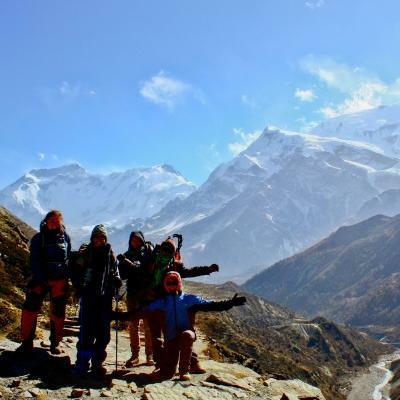 As you fly over the vast Himalayas and arrive in Nepal, you’ll know you are about to be part of something exceptional! Is volunteering with children in Nepal for teenagers right for me? Childcare & Community in Nepal is for you if you are passionate about helping kids and want to use your own hands to work in local communities. You’ll get childcare experience and also learn skills like teamwork, leadership, and planning. These skills will be useful additions to your CV when you apply for a job or university. 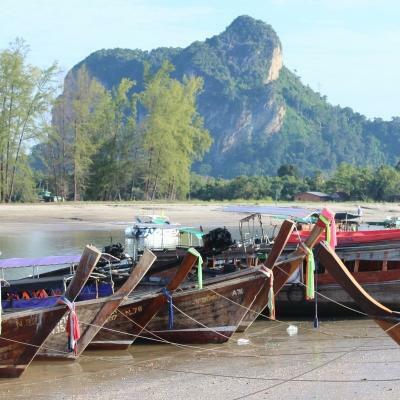 Are you travelling abroad for the first time on your own? No worries! 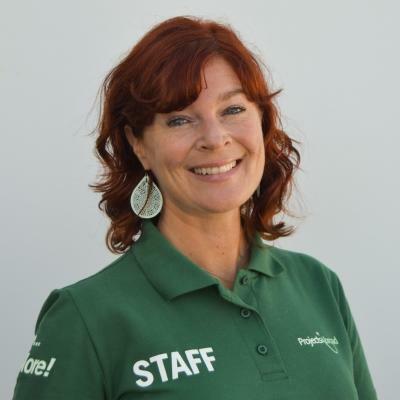 Our High School Special is designed to give you as much support as possible, and our staff are always there to help. You’ll also be part of a group with other teenagers from around the world. 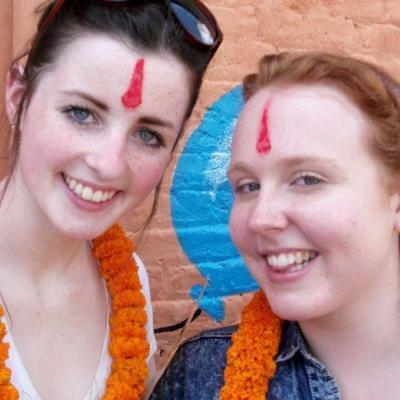 What will I do as a teenage volunteer doing community work in Nepal? You will be a pair of valuable helping hands to teachers. You’ll work through games and activities to teach the children new skills, while also having fun. Run outdoor activities like egg-and-spoon races or read books with the children. You can do puzzles, draw together, or run arts and crafts lessons. 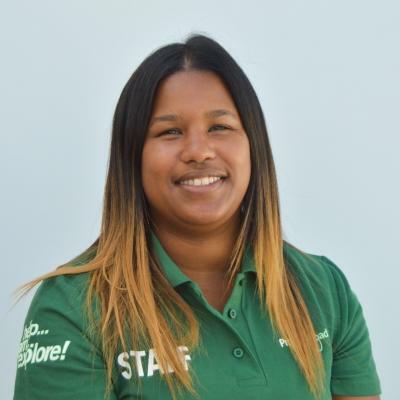 Your supervisor will have plenty of activities planned for you to do with the children at your placement. If you’re feeling creative, you’re welcome to come up with your own ideas for lessons, games, and activities. 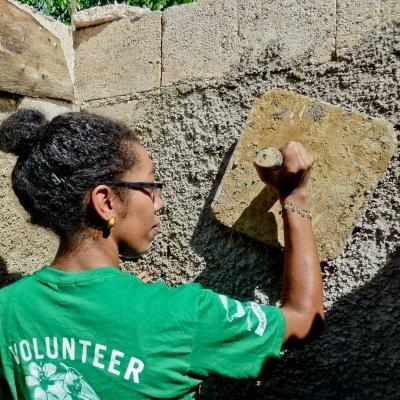 You and the other volunteers will work together to make physical improvements at schools and care centres. Paint classrooms and create colourful educational murals. Or help with building desks or playground equipment. You can also get out the coloured cardboard and crayons and make flashcards, posters, or other educational materials. This is important work, as kids will continue to benefit from your work long after you’ve completed your project. This is your chance to tick something off your bucket list while you’re still in your teens! Travel to a diverse and culture-rich country and meet like-minded high school students from across the globe. Live and work in the shadow of the highest mountain in the world. During your free time, we will have a range of activities planned for you to make the most of your time abroad. Watch wildlife at Chitwan National Park, barter with vendors at local markets, and eat your weight in dumplings during a cooking class. 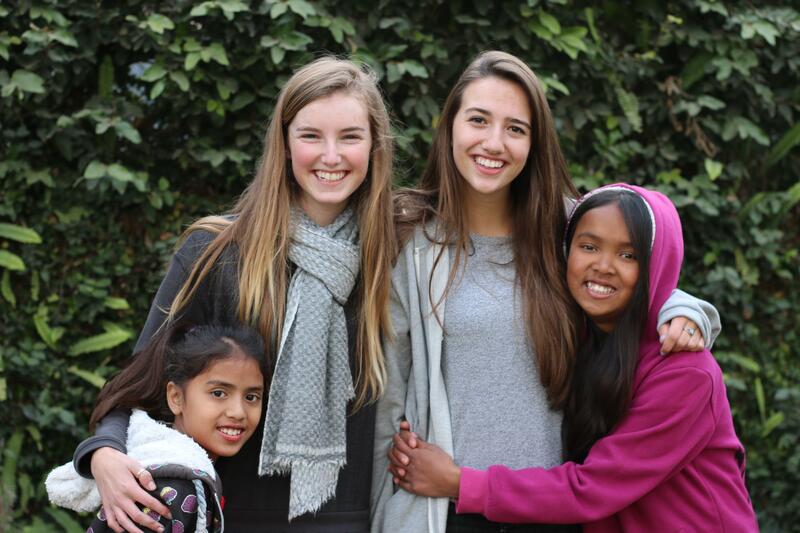 Our Childcare & Community High School Special is located in Nepal’s capital city, Kathmandu. The city stands at the foot of the Himalayan Mountains and attracts many tourists, mountaineers, and adventure-seekers. You’ll work in schools and care centres in the heart of Kathmandu, or in the more rural outskirts of the city. The aim of this project is to meet the needs of disadvantaged schools and care centres in Nepal. These placements have limited funds and lack things like playgrounds and learning materials. This makes it more difficult for teachers to run classes and for children to get the stimulation they need. With your help, we create better learning environments to help teachers with kids’ development. We do this by asking our volunteers to help with various tasks. This could include painting a classroom, repairing the floor at a care centre, or building desks. Over the course of your project, you will likely see a community work project through from start to finish. And you will leave your placement knowing that you have added something tangible to the students at the school where you work. It’s also important to invest in working with young children. It is in their early stages of development that they learn the basic skills that influence them later in life. Through sports, educational activities, and games you can help with their social and physical development. 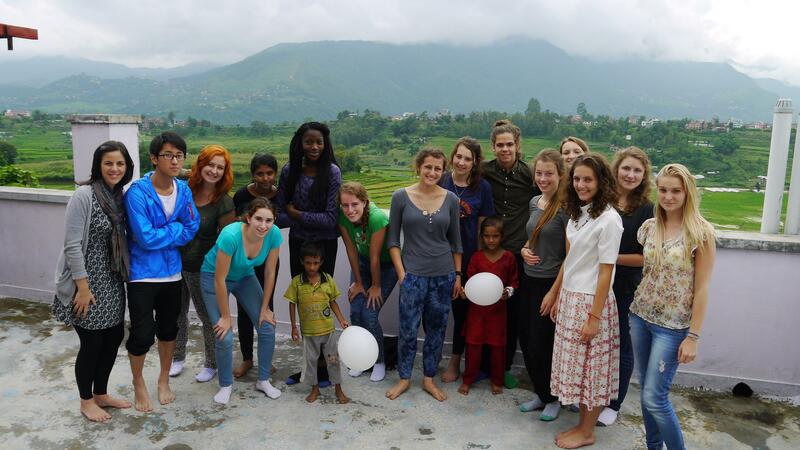 Join this Childcare & Community Project for teenagers and be part of helping with the early development of young children in Nepal. On the weekends we then got the opportunity to visit some of Nepal’s most fantastic tourist attractions. We visited the local temples, the National Rehabilitation Centre and also Chitwan National park. This was one experience which I can say I will most definitely not forget! Projects Abroad’s Care and Community placement spoke out to me as it touched on these areas that I was interested in. They also did a well-rounded job of ensuring my safety and comfort, as well as technical tasks such as booking flights and accommodations.